Buy More Flora Satin Ribbon Save More! 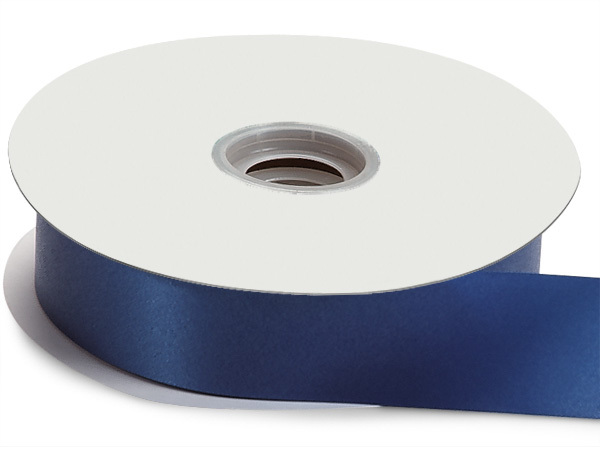 Navy Blue Flora Satin Ribbon 1-7/16"x100 yds is 100% Polypropylene, waterproof, and weather resistant. Made in the USA. Flora Satin Solid Color Ribbon coordinates with our Flora Satin Pull Bow colors. Great looking and economical. Perfect for florists! Works in 3M bow makers. Taffeta embossed texture floral and gift ribbon is 100% polypropylene. 100 yd spools. Made in the USA.